Paula joined IPA in 2011 and we are thrilled to have her as office manager and agent for the company. Paula brings a great skill set and a wealth of knowledge. She has over 15 year’s insurance experience, holds her Arizona insurance license and is a Notary Public. 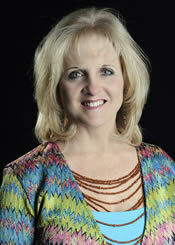 Prior to joining IPA, Paula owned and operated her own successful insurance agency in Chandler. Clients rave about her attention to detail and follow up on requests they have made. You can contact Paula at 480-981-6338 or Paula@insuranceproaz.com.